There are lot of benefits in investing in mutual funds than investing in individual stocks. Almost everyone can buy mutual funds. 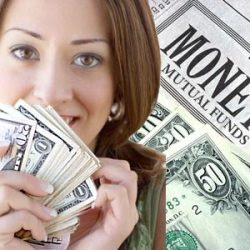 Even for a sum of Rs 1,000 an investor can invest in a mutual fund. Mutual funds have historically been more efficient from the tax point of view. A debt fund pays a dividend distribution tax of 12.5 per cent before distributing dividend to an individual investor or an HUF, whereas it is 20 per cent for all other entities. There is no dividend tax on dividends from an equity fund for individual investor. Though one can invest in individual stocks directly, it is not a bad idea to invest some amount in mutual funds too.